Miles was a typical 10-year old-boy – happy, rambunctious, curious and friendly. He loved soccer, riding his bike and his dog Max. His world was turned upside down when his mom unexpectedly died from complications after routine surgery. And then Miles had to move in with his dad whom he had spent only occasional time with. Now Max and his Dad had to adjust to a new life. 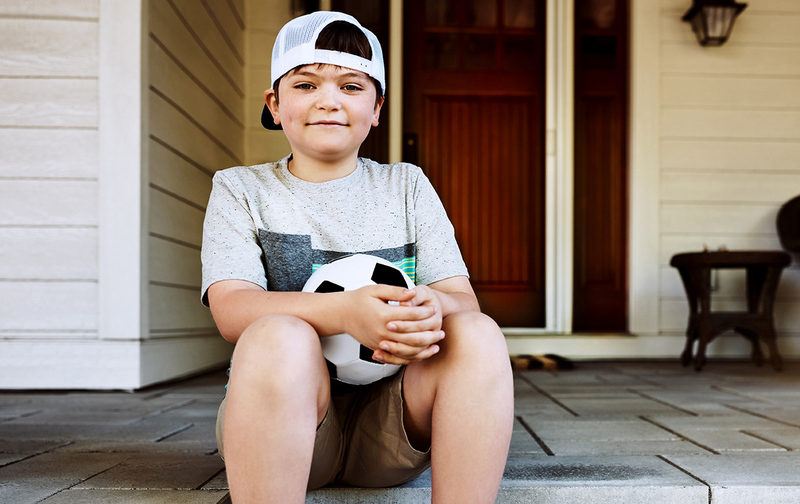 A traumatic grief counselor, who specializes in helping children from Empath Health, helped Miles ease his extreme anxiety. He also attended a day grief camp where he made a special friend with a little girl named Valerie who lost her mom too. They clicked and they spent the day together comforting each other and having fun. Thanks to support of generous donors like you, children like Miles receive the help they need during some of the most challenging times in their lives. You change lives. Upon Miles’ last visit with his counselor he brought her a present to remember him and his mom by – a piece of dark chocolate that was her favorite. That candy sits on the counselors’ desk as a reminder of Miles and his mom. As the holidays approach, nearly all of us are remembering loved ones who have passed. Honor their memory today by making a gift to the Suncoast Hospice Foundation. Your gift helps children like Miles and so many more. Thank you for your generosity. A copy of the official registration (#CH551) and financial information may be obtained from the Division of Consumer Services by calling toll-free: 1-800-435-7352 within the state or visit the website www.freshfromflorida.com/divisions-offices/consumer-services. Registration does not imply endorsement, approval, or recommendation by the state. No goods or services were received and is tax-deductible as allowed by law. The Hospice Foundation of the Florida Suncoast, Inc. does not engage paid solicitors.